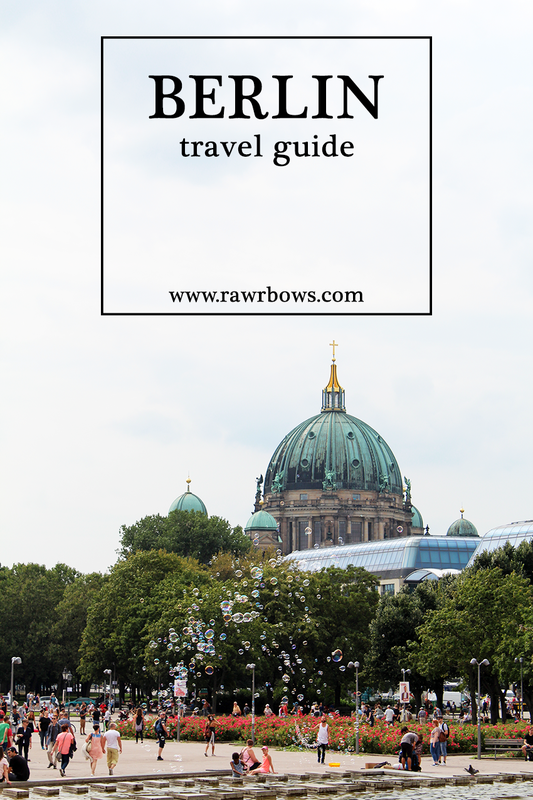 BERLIN TRAVEL GUIDE | OUT AND ABOUT | RAWR BOWS. Germany has never been a country that has particularly caught my attentions as a holiday destination. 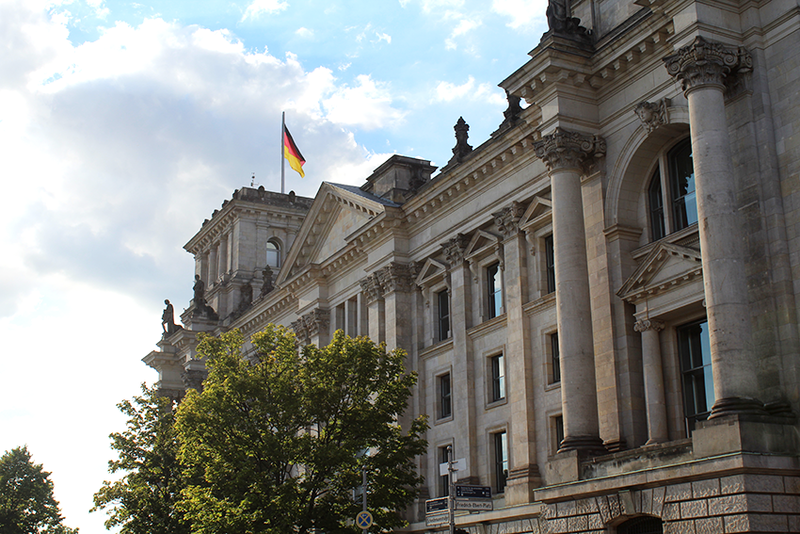 However, I do think their history is fascinating so when the opportunity to visit Berlin rose up, I obviously said yes. I only visited the capital for four days, but I think that was the perfect time to visit the city without getting bored. It's plenty of time to visit most landmarks and walk around with no rush but not to the point where you run out of things to do. Before going, I had heard very mixed reviews; some friends loved Berlin and some hated it so I didn’t quite know what to expect. 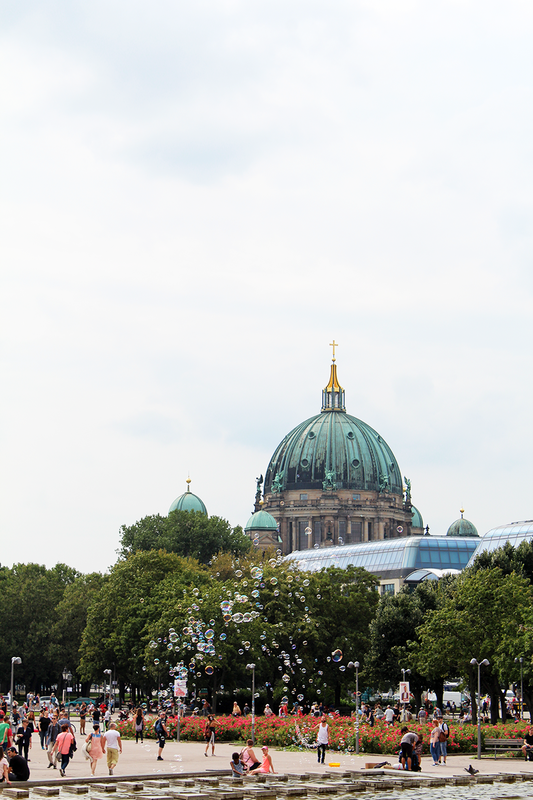 Here is what I did, what I ate and where I stayed during my time in the German capital. 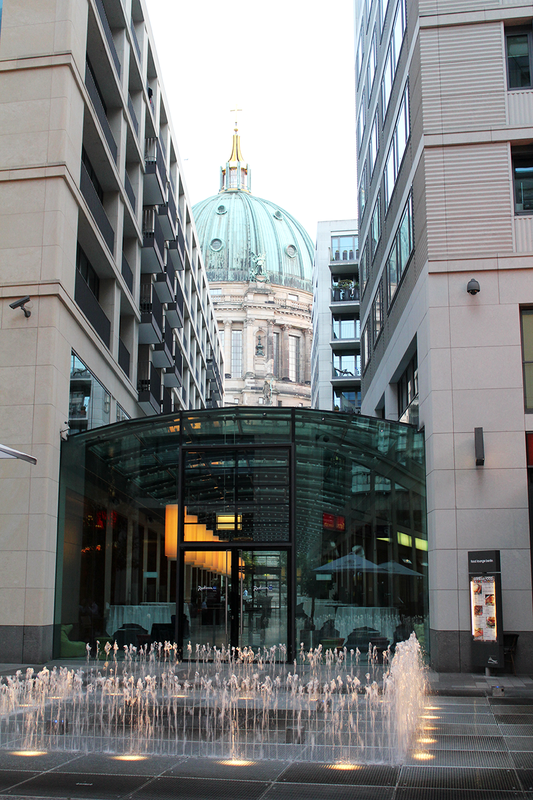 I stayed at the NH Collection Hotel Berlin Mitte which was right next to a high street and in a really central location. 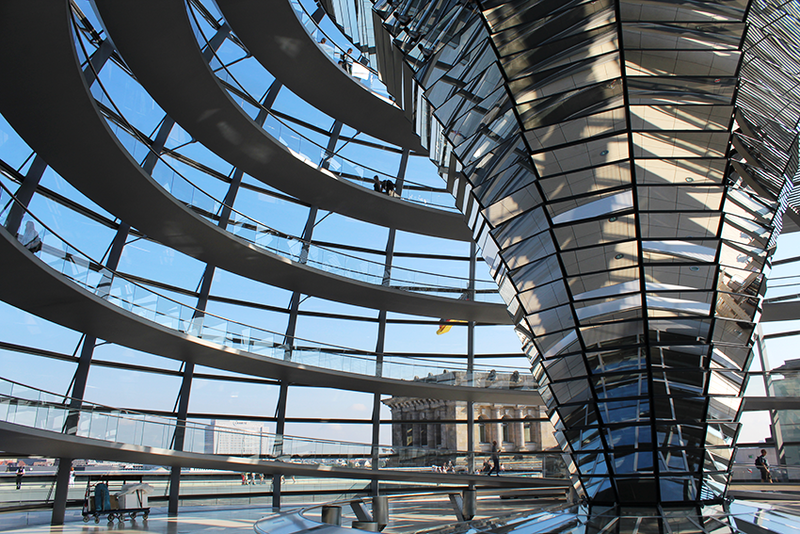 Only about 20 min walk from the famous Brandenburger Tor and around 30 min to Alexnderplatz. 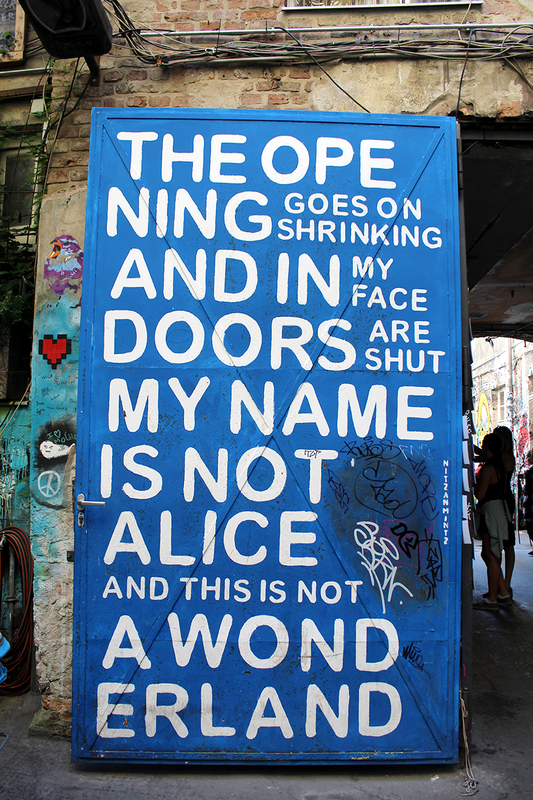 These might sound like long distances but I found that everything in Berlin is so far from everything else. It is definitely not one of these cities where you can walk from place to place - Uber and public transport will be your best friends. The hotel itself was very nice and reasonably cheap; and they had a great breakfast (which is my favourite thing about any holiday, I live for buffet breakfasts). 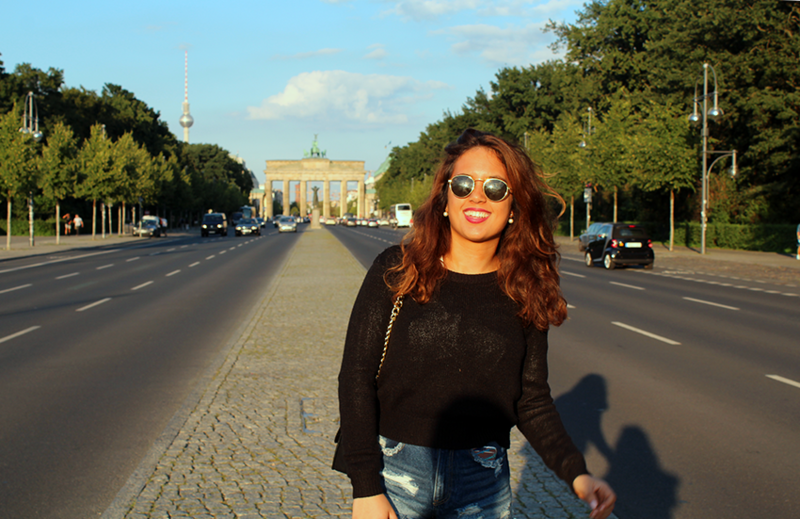 I had done zero research before getting on my flight to Berlin, and when I say zero I mean I didn’t know what there was in Berlin other than the Brandenburger Tor which I had seen on Eva Gutowski's Instagram.... Thankfully, my sister had done some research so I wasn’t left clueless in the middle of an unknown city. 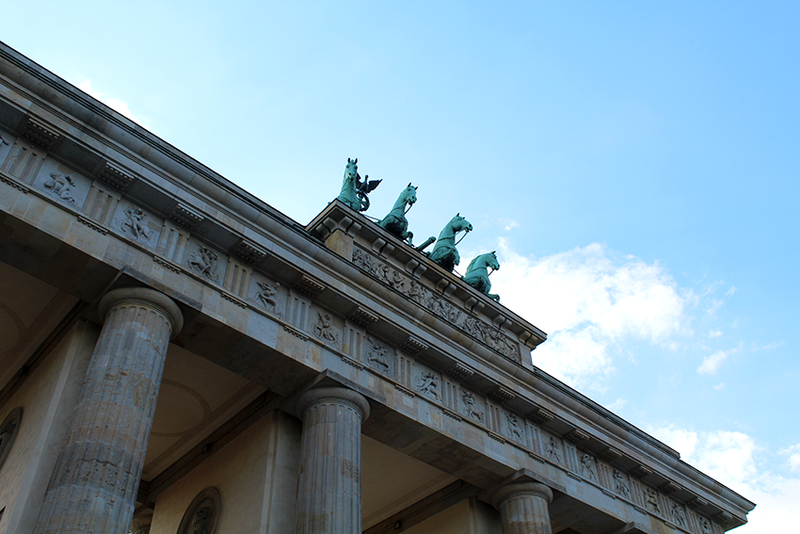 My favourite thing about Berlin was the Brandenburger Tor, I honestly cannot describe how beautiful and majestic it looks. It was the first thing I saw when I got to the city and I was left in complete awe. On our way to the Brandenburg Tor we stopped at the Holocaust Memorial, which as the name suggests is a memorial to the jewish victims of the Holocaust. 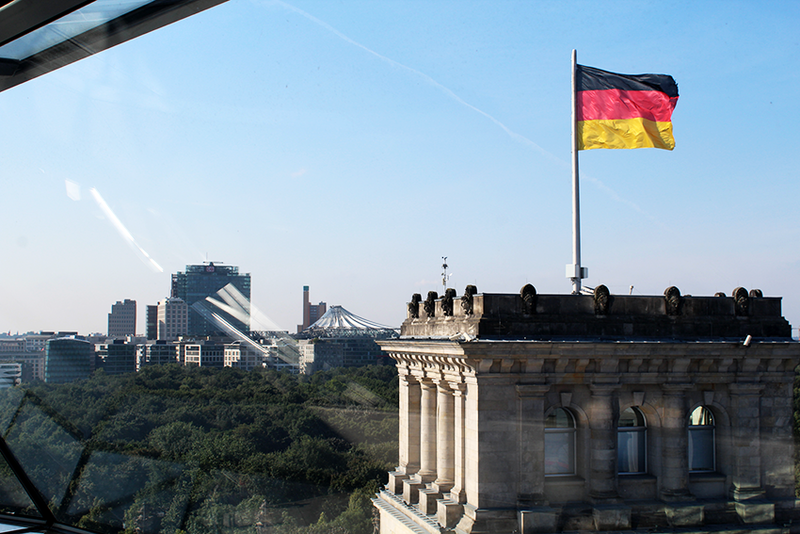 Nearby the Brandenburg Tor, you'll find The Parliament (Reichstag) which has a glass dome that you can visit and has spectacular views of Berlin. You can book online in advance or buy tickets a few days before in person but the queue is usually quite long. 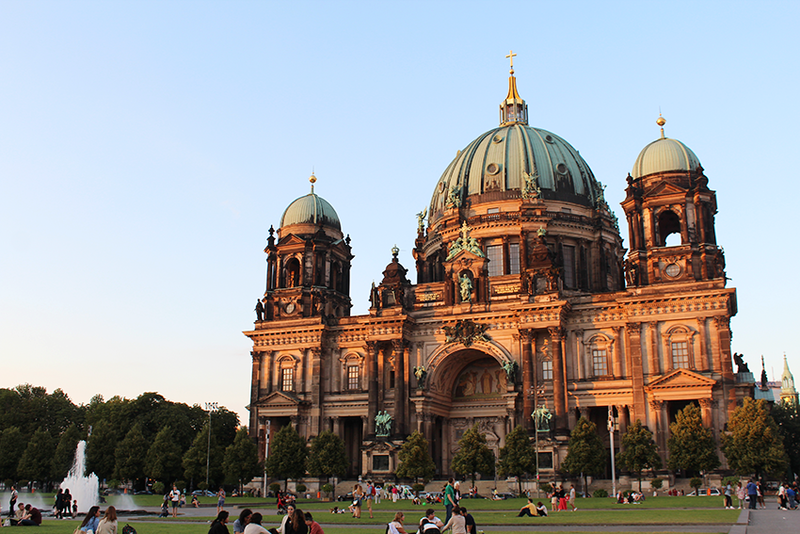 Another great building to visit is the majestic Berlin's Cathedral. We went there at sunset and it was BEAUTIFUL, the cathedral was practically glowing thanks to the warm late evening sunlight. Checkpoint Charlie is also worth visiting, it was the best-known Berlin Wall crossing point between East Berlin and West Berlin during the Cold War. The sign is still up and there still are American guards where the crossing point used to be. The Scheunenviertel (Barn Quarter) is definitley a must-visit if you like to wander around. 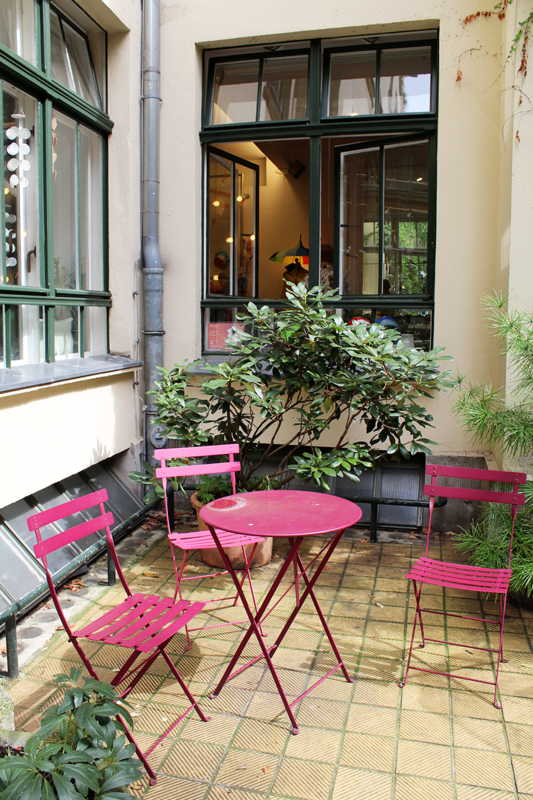 You can get lost in beautiful patios where you will find the coolest independent shops and some cute cafes. One of my favourite shops there was this place called Golem Ceramics. They sell tiles, which may sound rather weird, but if you are somewhat into home decor you'll love it. They have every colour you can imagine and also a lot of very cool patterns, I got a turquoise one which I use as a coaster. 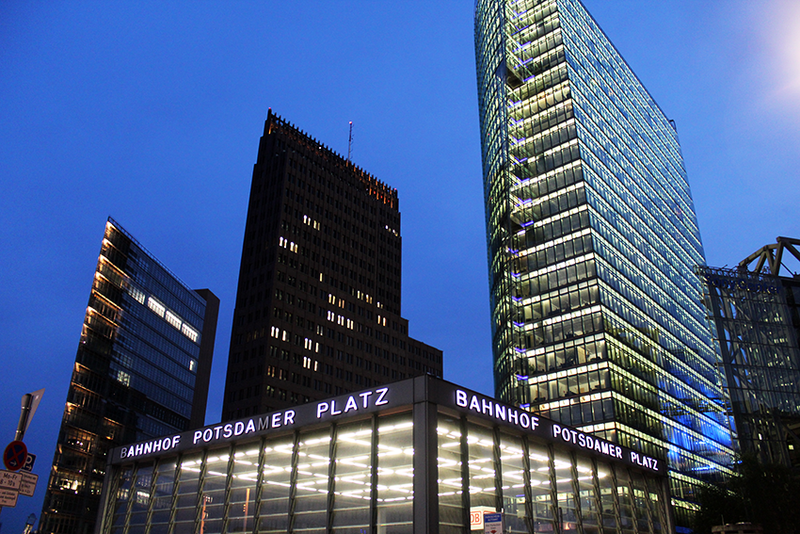 We also visited Alexanderplatz, and whilst it is quite famous, I honestly don’t know why. It is meant to be kind of like the main square, but it just looks like a chaotic mess. 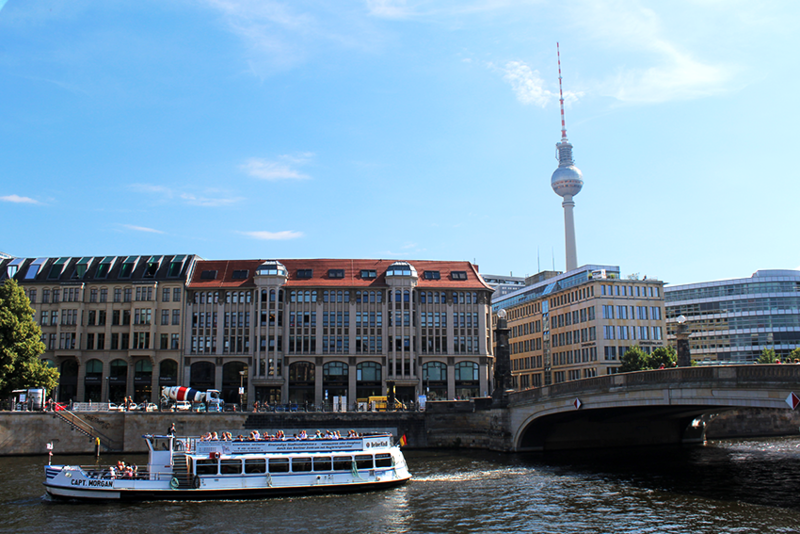 If you’re in Berlin you might as well go just because why not but don’t have high expectations. On the other hand, the East Side Gallery was pretty cool, specially as I had seen it on social media so much before! There are so many different paintings from artists from all over the world, and it's so interesting to see how they all represent freedom and suppression so differently. 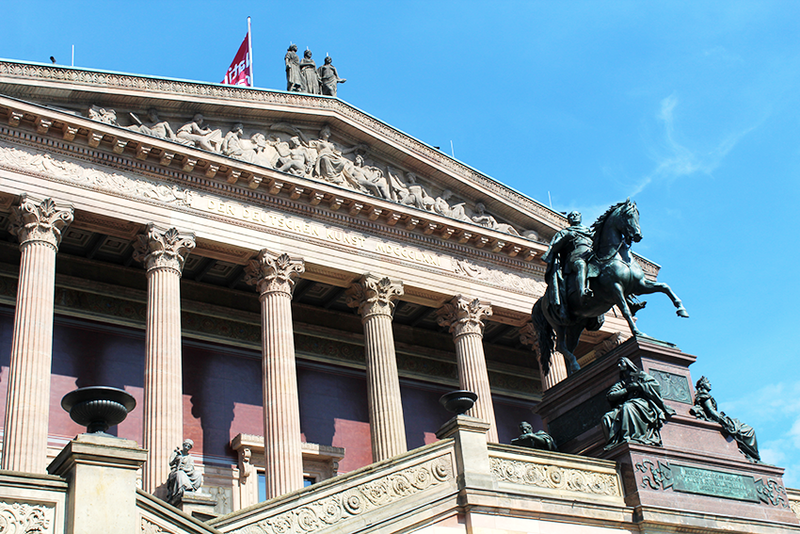 The other 'arty' place we visited was the famous Pergamon Museum - which as every freaking thing in Berlin was under construction being renovated or something. However, we still got to see the Ishtar Gate which was our main reason for going there. 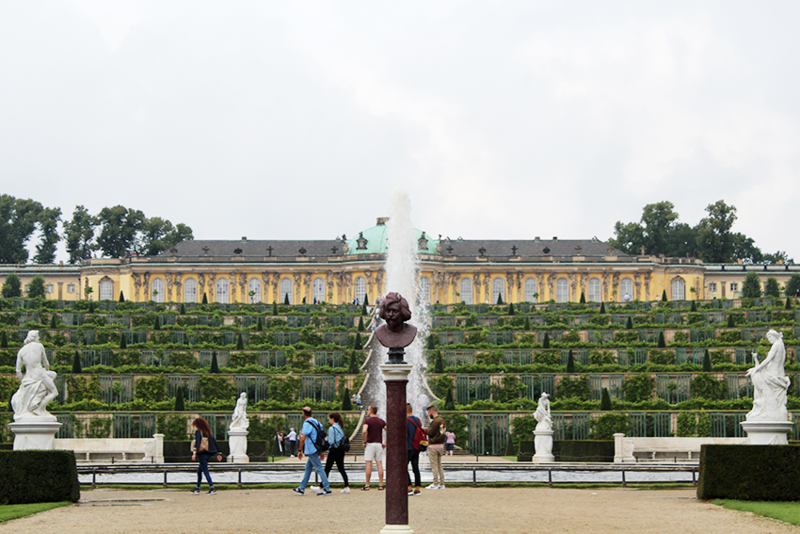 Finally, one morning we took the metro to a place right outside central Berlin called Potsdam, which was really beautiful. 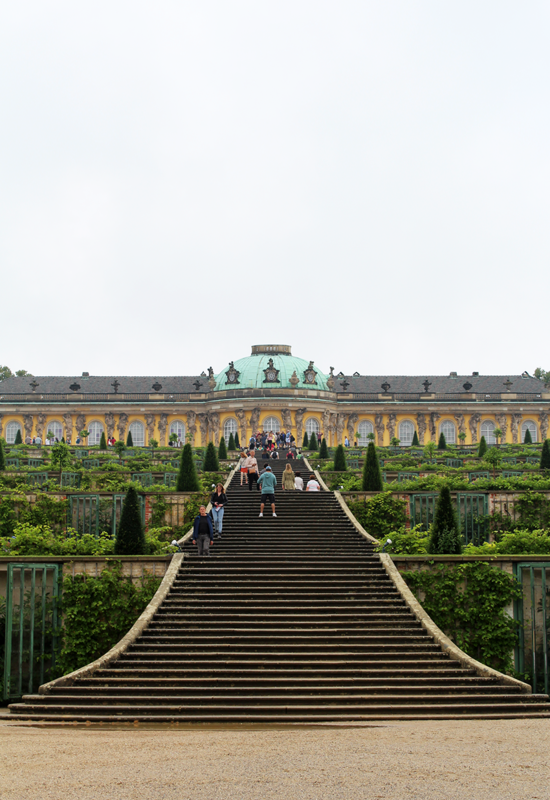 We visited this palace called The Sanssouci Palace and I have to say it is probably the most beautiful palace I’ve ever visited just after Versailles. The gardens were spectacular and enormous, even better than the palace itself. My favourite thing about traveling is getting to eat different foods and trying new restaurants. 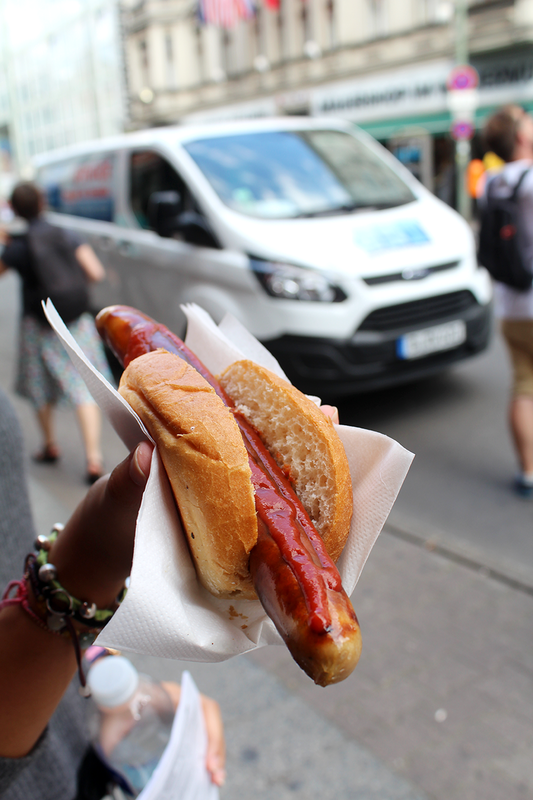 When I think Germany the food that pops up in my head are hot dogs, however the best thing I ate there was not even meat or savoury. It was an ice-cream waffle. It was from a small place called Woop Woop Ice Cream. 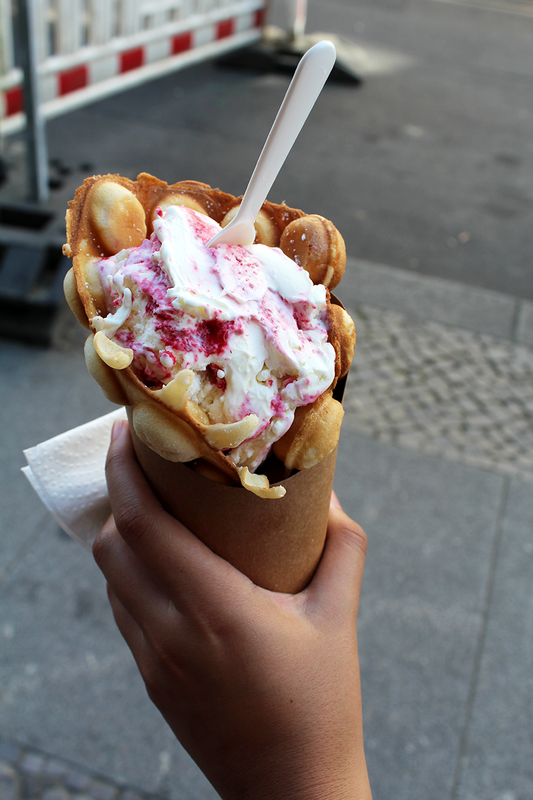 It was a delicious waffle filled with liquid nitrogen ice cream (which is meant to make it more creamy). They had four flavours that day, we tried Ferrero Rocher and White Chocolate & Raspberry - the latter was 100% the best one and it is one of the best ice creams I have ever had (even better than many of the ones I had in Italy). Another great food I had there was a kebab. I think I had only had kebab once or twice before and whilst I liked it I wasn't too into them. 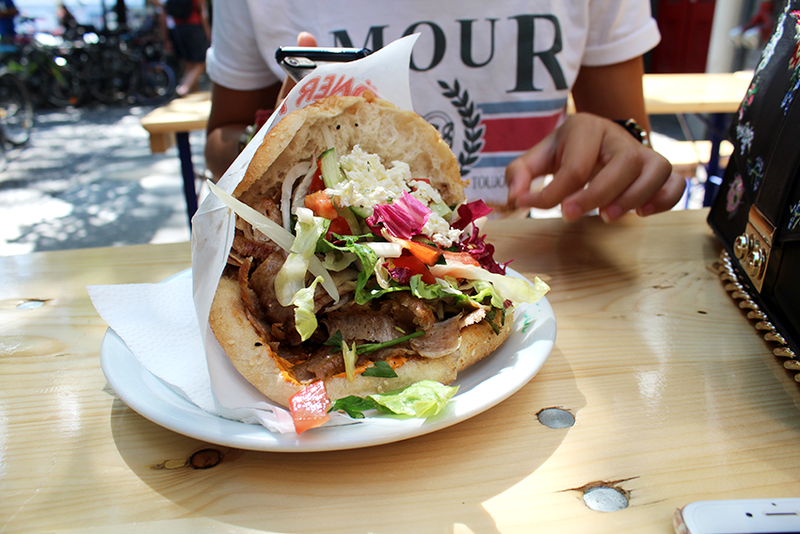 Germany's kebabs are so much better though, or maybe I was just very hungry. Either way, it's worth trying one whilst you're out there. I also had many different kinds of sausages, all with different yet similar names which I cannot remember, but the best one was the one photographed below... bratwurst maybe? 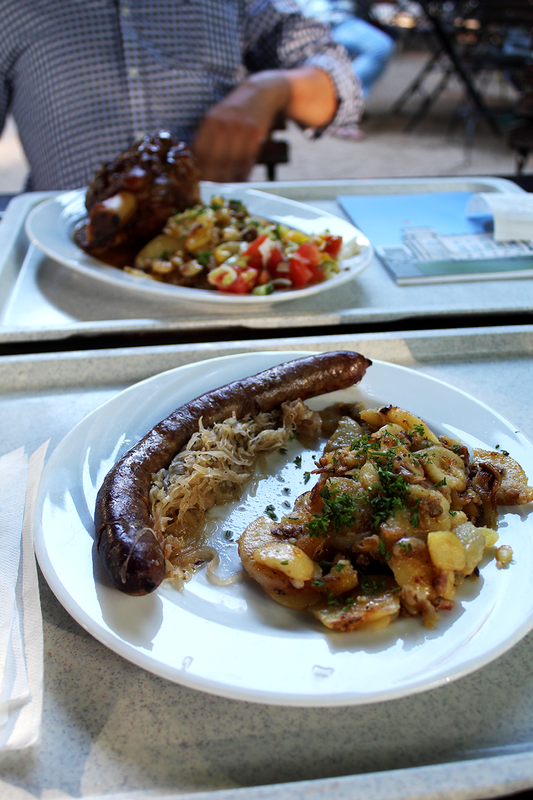 The best restaurant we went was this place near Brandenburger Tor called Berlin Pavillon where we had some incredible roasted potatoes and different types of meat.